I don’t have to do another article where I talk about how great I am at this because we can learn a lot from our failures, sometimes moreso than from our successes and while I don’t care about missing stuff per se as long as there are plenty of hits out there to identify, we don’t want to miss anyone who would have wanted to buy those cards for themselves. So while I didn’t really initially see cards I ignored as cards I was missing, I think it’s important to identify our blind spots and take a look at how we can avoid missing those cards in the future. 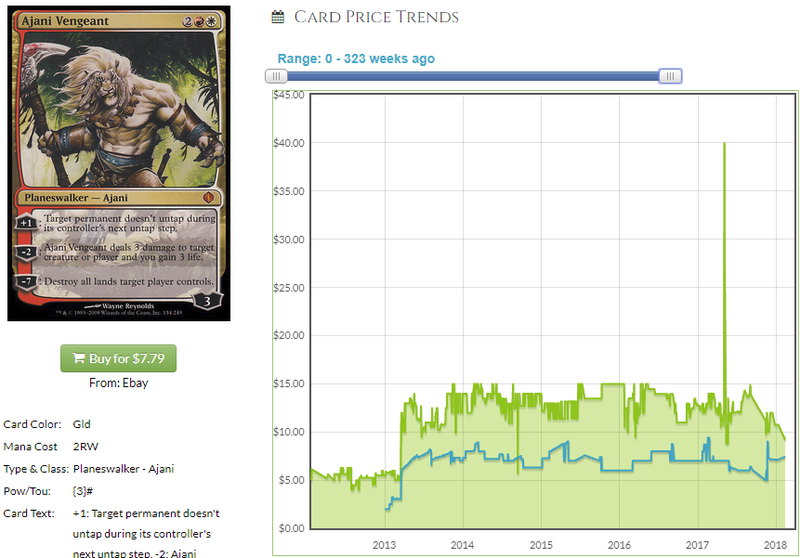 I’m specifically talking about expensive foils that have spiked as a result of very competitive decks like Vannifar and how we can make sure we correctly identify future Vannifars and identify which classes of cards from those decks to buy specifically. So what went wrong with Vannifar, first of all? At first, it seemed like Vannifar was a very exciting, if not obvious commander. My twitter feed is full of both EDH and finance people and every finance person was talking about Intruder Alarm and Thornbite Staff and every EDH person was talking about Teysa. 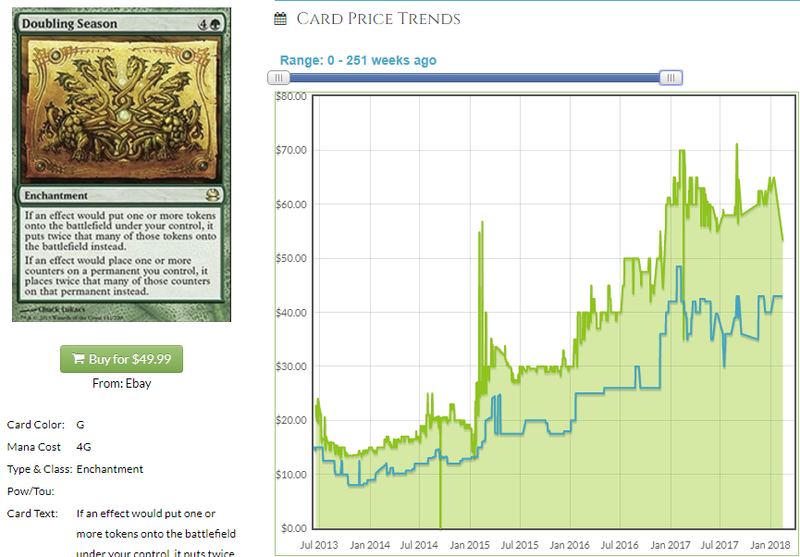 EDHREC data back up my assertion that the EDH community as a whole just wasn’t that excited by Vannifar. 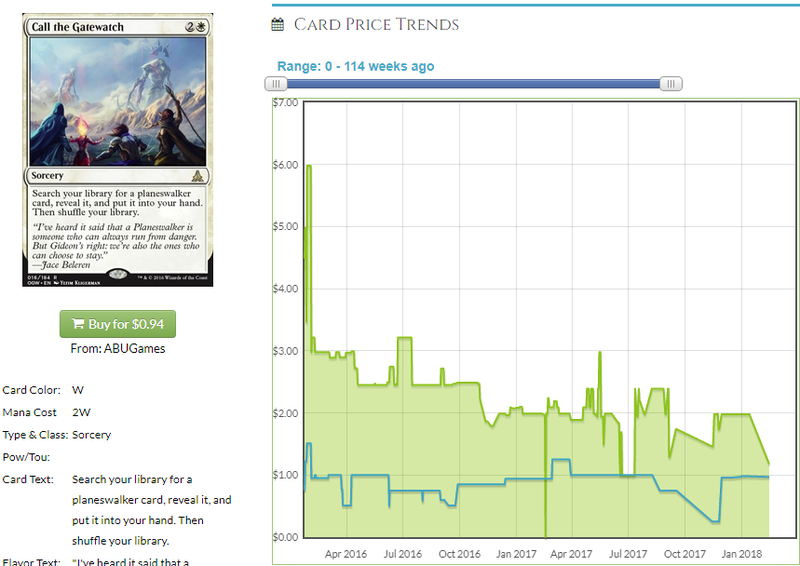 I was pretty secure in my assessment that it was going to be really tough to sell non-obvious cards to non-speculators, and it was a very specific buyout that made me realize something different was going on here. So what went wrong? My assessment was that Vannifar was a boring, obvious, linear deck with a pretty unsatisfying pod chain, and the general EDH community’s apparent rejection of Vannifar in favor of Teysa (and even Nikya) seemed to bear that out. 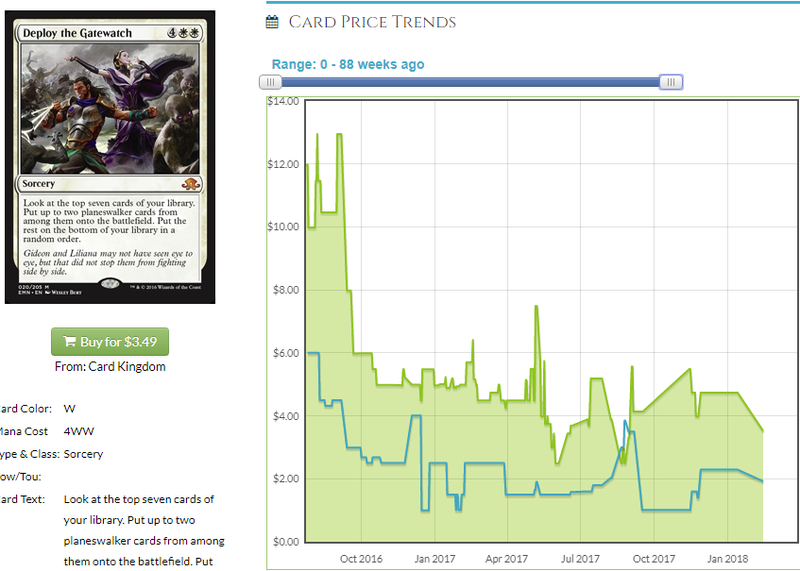 EDH players, in general, don’t want boring, linear obvious decks and you need to sell a lot of copies of recent cards to move prices. I forgot to consider one thing I knew, and by the time I saw the card that had spiked and realized what it meant, it was basically too late. I was going to take a look at Jodah or something today and while that’s probably relevant at some point, I think there’s something else that is pretty important and it’s never too early to talk about it. I saw something curious and maybe I’m reading too much into it, but probably not. I mean, maybe. Maybe not. Not probably not, I don’t know the actual probability. That’s a good point, actually. Let’s address that point before I move on. Have you even made a point yet? Yes, I sure have. I said I don’t know the probability that I’m right or wrong about this thing I’m speculating about that I’ll tell you about later. We never really know the odds but since I know less than nothing; we’re talking our unknowns are unknown, I’m going to try and make my picks with some caveats, namely that I’m not going to diverge too far from my current speculation ethos for this column. Currently I am using data, albeit small amounts sometimes, to make very safe picks based on what I know the near future to be. 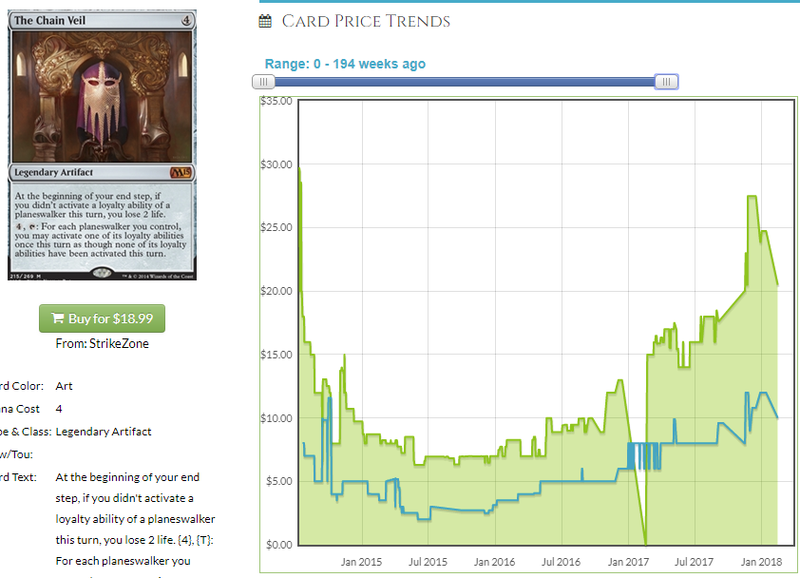 EDH allows us to do that with the lag time between online decklist adoption and actual paper decklist adoption. I’m not going to stray too far from that. While I’m forced to speculate about speculation, I am going to try and confine my picks to ones that won’t leave you holding the bag later if one or more of our assumptions turns out faulty. I sold a lot more copies of Squandered Resources than I did Didgeridoo. Didgeridid? Whatever. The point is, if I make a pick that wasn’t going to go up anyway, albeit probably slower, I’ll make a note that you’re assuming risk and should only do so if you can afford to lose the money and agree with all of our dumb assumptions. Isn’t it funny that I’m like 4 years into writing this column and I’m only now telling you to only spec with money you can afford to lose? 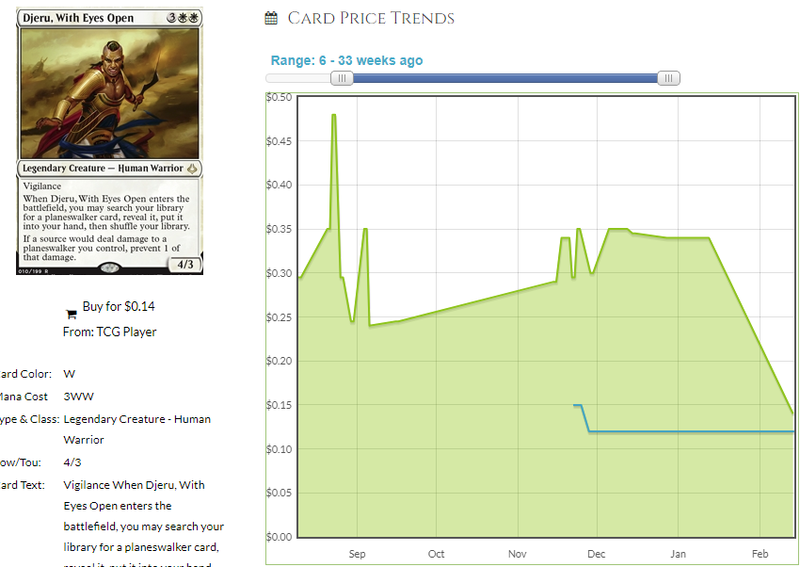 That’s how good EDH finance is, I never assume we won’t get there. Even our misses are just longer-term hits, baby! Bet it all on black! OK, that out of the way, let’s talk about the assumptions we’re making. First, the piece of news upon which our assumptions are predicated. Someone in the EDHREC writers Slack channel alerted me to this press release. No, that wasn’t intended as a name drop. It’s an exclusive Slack channel, but not in that good a way. It’s exclusive like the club of people who turned themselves blue drinking colloidal silver is exclusive – yeah, you’re not in the group but that’s fine, trust me. Let’s examine the thing. Awww yisss. If this is what I think it is, it’s another Commander precon series with Planeswalkers at the helm. That’s assumption numero the first. My next assumption is that planeswalkers will be legal as commanders from now on. It’s possible that it’s just all of us wanting it that makes us think it’s so but I said I wouldn’t hose you by making picks that won’t pan out if this assumption is wrong so let’s pretend we already know it’s true and save ourselves some equivocating. When Do We Make Some Money? I thought I’d never pretend you asked. Let’s do that now, shall we? 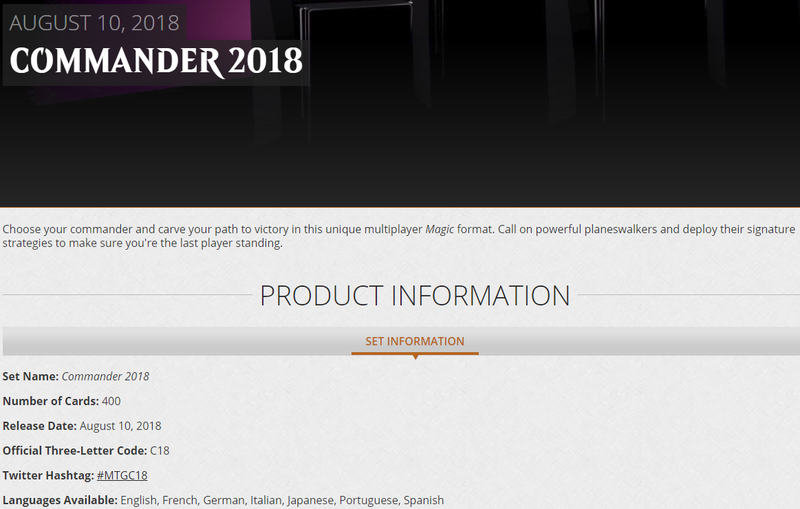 Commander 2018 will have Planeswalkers as the commanders. Any Planeswalker will be a legal commander starting in late 2018. From that, I can make a few sub-assumptions that can help us figure some things out. 4 decks means they won’t be all mono-colored. Commander 2017 showed they stress color balance over the set not over the decks and gave us a 5-color Dragon and 2-color cat and stuff in between. 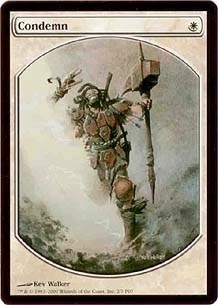 My Ajani Vengeant deck will make them regret the decision to allow older ‘walkers to be commanders. I think hype alone is going to drive some prices if any of this information is confirmed, so we have a small window to act on it before everyone else comes to the conclusions we’re coming to today and scoops the cards. Better from us at a higher price than at current retail because we napped on this info. Old Chainy veil is calming down a bit and my initial impression was that this is a likely reprint in the Commander decks or more likely one of them, but I got to thinking, is it? 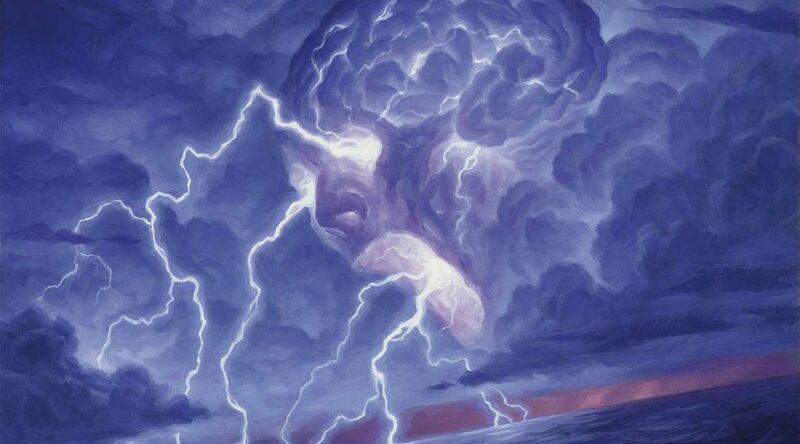 The Chain Veil is played in two types of decks with Planeswalkers; Superfriends, which is a deck with a lot of Planeswalkers and Chain Veil Teferi, a deck that uses exactly one Planeswalker in particular and rarely any others, although not always. 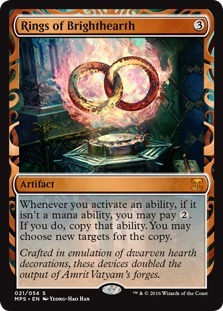 The two reprint scenarios, then are either a Teferi reprint or a ‘Walker that is similarly good with The Chain Veil which won’t happen because you can’t put the stupid Chain Veil/Teferi infinite combo in a precon and only charge 5 extra dollars and expect the other decks to compete. You also can’t jam $300 worth of Planeswalkers in a $40 precon and call it a Superfriends deck, and you can put 4 Planeswalkers in a precon and call it a Superfriends deck. 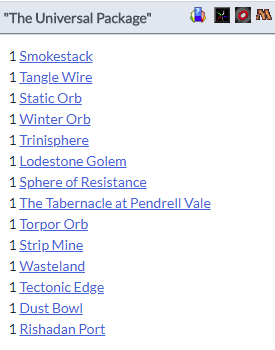 Since The Chain Veil isn’t great outside of those two scenarios, neither of which is appropriate for a precon (though fine to be built by the end user) I think reprint risk is mitigated. 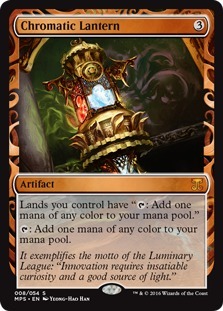 That gives us a declining, second-spike-ready artifact that can go in any Planeswalker deck that wants it. 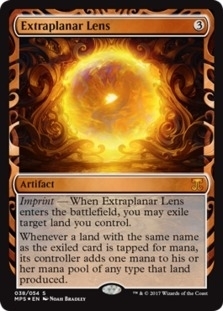 I think this goes up on hype as much as playability and you can always sell off before the full decklists are announced if you really are afraid of a reprint. The foil is down, too. Hallelujah. 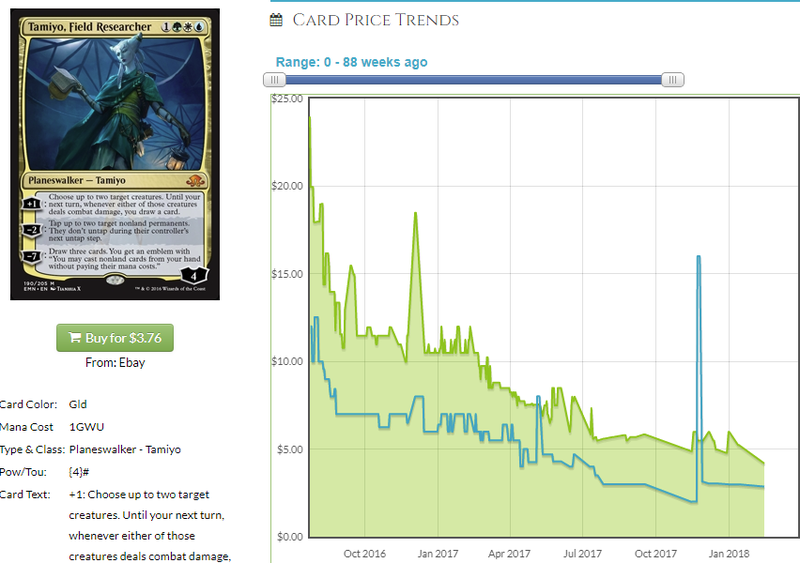 A lot of this decrease is post-Atraxa hangover where the bad angel promised to make every card in any possible build $20 forever but there is a real chance for this to recover, especially with its reprint risk farther mitigated. 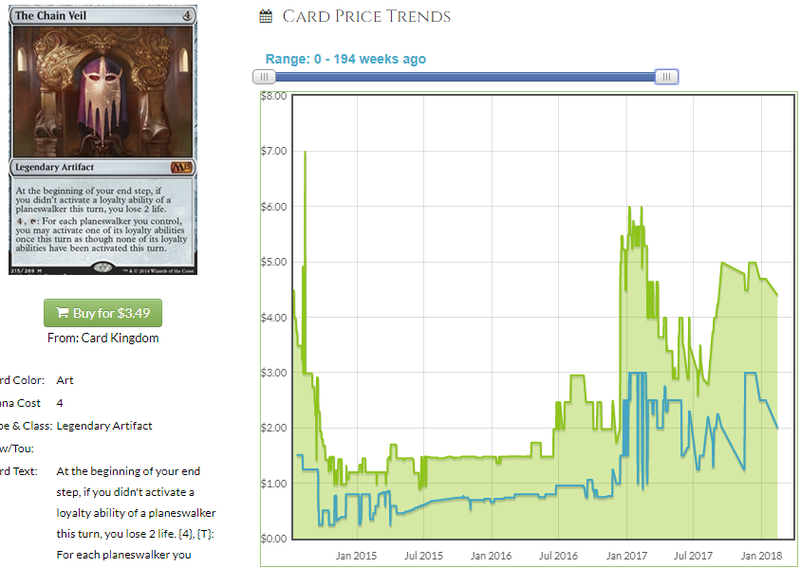 This doesn’t even have to play nicely with the new cards to go up on hype, so be on the supply side of the coming wave. This is a bit of an obvious one, too, but I don’t know how good it would be outside of superfriends builds, necessarily. 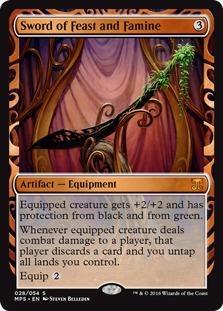 Also, people could always build that before and allowing a Planeswalker to helm the deck isn’t necessarily going to make that option more attractive. 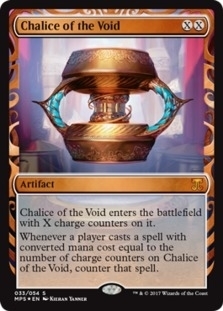 Unlike the Chain Veil, this only goes in green decks and if there is no new 5 color Walker (can you imagine? Yuck) I don’t know. Now that the two obvious ‘Walker cards are out of the way, it becomes a little tougher to figure out what we can make money off of. Let’s add to that the fact that all of the other cards in Superfriends seem to only be good at finding ‘Walkers in the deck. 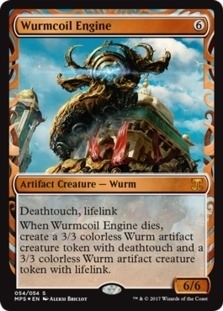 We’re going to need to try a different approach, and that is to look at any cards in common between the 5 existing Planeswalker commanders. So… artifacts? Lands? If I don’t say something smart pretty soon, this was a waste of an observation. I’ll save like and hour on EDHREC – there’s nothing. There are no common cards between the 5 current Planeswalkers as Commanders and I doubt there’s anything in common with the new ones. That means we basically have to slide down a tier of certainty if we’re going to come up with anything worthwhile. I’ll finish this article by talking about the Planeswalkers I think would be the best Commanders and if there are any cards that pair nicely with them. This would be nuts as a Commander, especially in green where you can cast her with Doubling Season and get the emblem right away on top of refilling your grip. 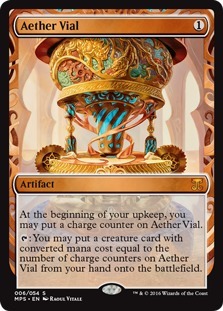 This card isn’t super exciting outside of the odd Atraxa build right now but if this is in your command zone, your mana dorks draw cards, you can frost dudes all day and you can say goodbye to mana. Whaaa? There’s no interacting with that stupid emblem, either. Good luck. This probably isn’t that good but I’m still going to build the stupid thing. Screw you and your lands in particular, scrub. Cards that pair well with this build – I don’t even know, I regret bringing it up. 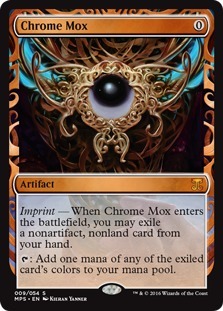 I see people call this a good Stax commander, and I can’t disagree. This would be annoying as hell to play against. Let me google EDH stax cards. So be apprised of that. Those cards are all probably good pickups anyway. I feel like any of the decent commanders could get their own entire article. If we do it that way, we’ll want to wait until people start building the decks that way, so as much fun as I’m having here, there isn’t much point in continuing. 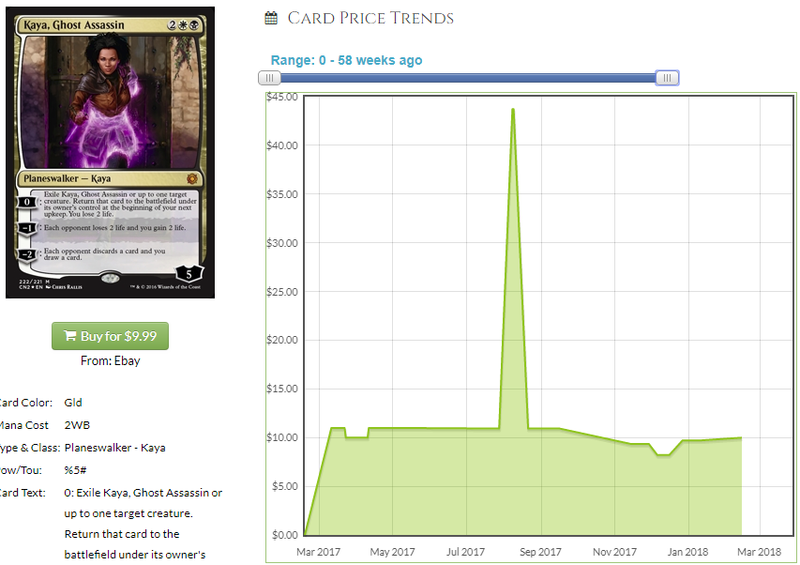 What I think we’ll do is revisit this when there is something more actionable and we may give any given commander the article treatment the way we would any new Legendary creature. 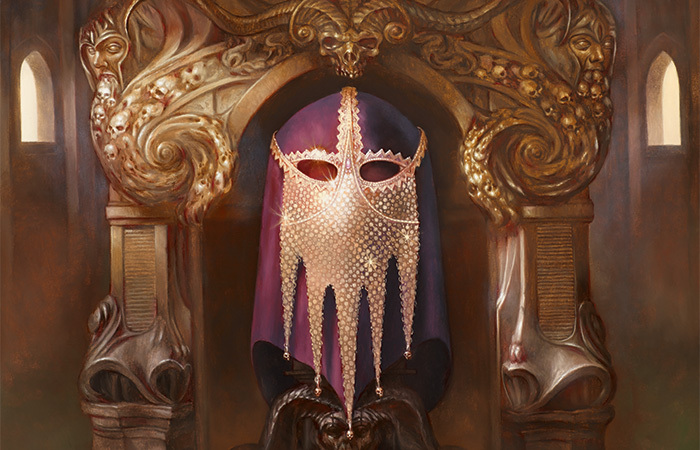 For now, I think there are moves to make here and I am really feeling good about The Chain Veil because even an announcement is going to drive buying and we want to be holding copies when that happens. I hope you got some value from this piece and we’ll try something a little more traditional next week. Until then!